All Belterra homes currently listed for sale in San Antonio as of 04/22/2019 are shown below. You can change the search criteria at any time by pressing the 'Change Search' button below. "Immaculate condition model quality home in a gated community. Open floor plan with both game room and media room upstairs. Walk in to show stopping high ceilings, wood floors downstairs and beautiful rock accents. You will love the oversized eat-in kitchen island and your SS appliances!! The entire family will have plenty of room with 5 spacious bedrooms. Entertain friends and family under your covered patio! Manicured lawn complete with sprinkler system! Move in Ready! I have the key! CALL TOD"
"Impressive, very well kept home in gated Belterra! This stunning 4 bedroom 3.5 bath home with an open floor plan and a 3 car garage, is an entertainers dream! High ceiling entryway, formal dining, formal living, and large kitchen with granite countertops that overlook the living room. Spacious upstairs complete with a gameroom and built in shelving! Enjoy a gorgeous backyard retreat featuring a beautiful deck and a true outdoor kitchen! Comal ISD schools and great access to 281." 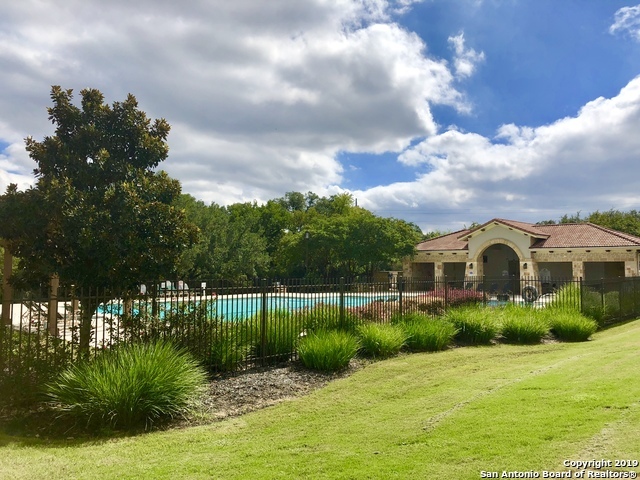 "Looking for a USDA property with 4 bedrooms, 2 dining areas, breakfast bar, gas fireplace, owners retreat on the 1st floor, office, flex space, lovely covered back patio, & Smithson Valley schools ALL in a gated community? Look no further, you've found it! Wait until you get upstairs: it feels like an entire 2nd home with an oversized game room, 3 additional bedrooms & a full bathroom. The added touches in this former model home, stunning community pool with park, are absolutely phenomenal. Welc"
"This first-class residence offers a classic & clean look. 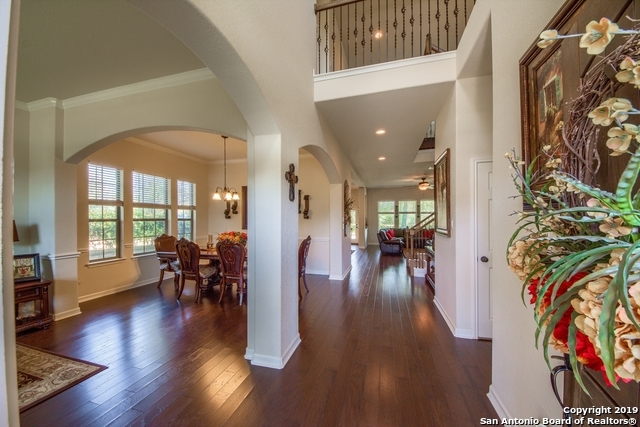 Beautiful wood floors & stone archways greet you upon entry. Graceful modern living provided by 4 beds, 2 living, rooms for study, game, or media & 2.1 baths. Enjoy the spacious kitchen with granite counters, stainless appliances & upgraded lighting. Outdoors the solar panels provide easy energy efficiency solutions & whether it's brunch or dining al fresco, the covered patio is the perfect space for outdoor entertaining." "Stunning, one-story home located in the desirable, gated community of Belterra! Features include open floor plan, high ceilings, living and family room, large kitchen with lots of cabinets/counter space, island kitchen, granite counter tops and stainless steel appliances. Large master suite with full bath! Secondary bedrooms great for private office space and fit full/queen size beds. Hardwood floors, ceramic tile and carpet! Covered patio for entertaining! Large oak trees! Private park and pool"